This website is maintained by the Alvarado Elementary School PTA and is intended for use by members of the Alvarado Elementary School community. 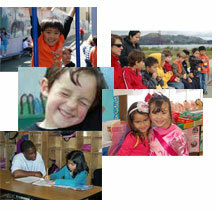 This is not an official website of the San Francisco Unified School District (SFUSD). This site may contain features and functionalities that may link you or provide you with access to third party content which may be completely independent of Alvarado Elementary School, the Alvarado Elementary School PTA, and SFUSD, including websites, directories, servers, networks, systems, information and databases, applications, software, programs, products or services, and the Internet as a whole. Your interactions with organizations and/or individuals found on or through this website are solely between you and such organizations and/or individuals. You agree that neither the Alvarado Elementary School PTA nor SFUSD shall be responsible or liable for any loss or damage of any sort incurred as the result of any such interactions. p) that employs misleading email addresses, or forged headers or otherwise manipulated identifiers in order to disguise the origin of content transmitted through this website. v) attempt to gain unauthorized access to the computer systems used to provide this website or engage in any activity that disrupts, diminishes the quality of, interferes with the performance of, or impairs the functionality of this website. You acknowledge that the Alvarado Elementary School PTA may establish limits concerning use of this website, including the maximum number of days that content will be retained on the service, the maximum amount of content that may be transmitted or stored by this website, and the frequency with which you may access this website. You agree that the Alvarado Elementary School PTA has no responsibility or liability for the deletion or failure to store any content maintained or transmitted by this website. You acknowledge that the Alvarado Elementary School PTA reserves the right at any time to modify or discontinue this website (or any part thereof) with or without notice, and that the Alvarado Elementary School PTA shall not be liable to you or to any third party for any such modification, suspension or discontinuance of this website. You agree that the Alvarado Elementary School PTA, in its sole discretion, has the right (but not the obligation) to block your email or IP address, or otherwise terminate your access to or use of this website (or any part thereof), immediately and without notice, and remove and discard any content within the website, for any reason, including, without limitation, if the Alvarado Elementary School PTA believes that you have acted inconsistently with the letter or spirit of the TOU. Further, you agree that the Alvarado Elementary School PTA shall not be liable to you or any third-party for any termination of your access to this website. Further, you agree not to attempt to use this website after said termination. consent of the Alvarado Elementary School PTA and agree to abide by any and all copyright notices displayed on the website. YOU AGREE THAT USE OF THIS WEBSITE IS ENTIRELY AT YOUR OWN RISK. THIS WEBSITE IS PROVIDED ON AN “AS IS” OR “AS AVAILABLE” BASIS, WITHOUT ANY WARRANTIES OF ANY KIND. ALL EXPRESS AND IMPLIED WARRANTIES, INCLUDING, WITHOUT LIMITATION, THE WARRANTIES OF MERCHANTABILITY, FITNESS FOR A PARTICULAR PURPOSE, AND NON-INFRINGEMENT OF PROPRIETARY RIGHTS ARE EXPRESSLY DISCLAIMED TO THE FULLEST EXTENT PERMITTED BY LAW. TO THE FULLEST EXTENT PERMITTED BY LAW, THE ALVARADO ELEMENTARY SCHOOL PTA DISCLAIMS ANY WARRANTIES FOR THE SECURITY, RELIABILITY, TIMELINESS, ACCURACY, AND PERFORMANCE OF THIS WEBSITE. TO THE FULLEST EXTENT PERMITTED BY LAW, THE ALVARADO ELEMENTARY SCHOOL PTA DISCLAIMS ANY WARRANTIES FOR VIRUSES OR OTHER HARMFUL COMPONENTS IN CONNECTION WITH THIS WEBSITE. UNDER NO CIRCUMSTANCES SHALL THE ALVARADO ELEMENTARY SCHOOL PTA BE LIABLE FOR DIRECT, INDIRECT, INCIDENTAL, SPECIAL, CONSEQUENTIAL OR EXEMPLARY DAMAGES (EVEN IF THE ALVARADO ELEMENTARY SCHOOL PTA HAS BEEN ADVISED OF THE POSSIBILITY OF SUCH DAMAGES), RESULTING FROM ANY ASPECT OF YOUR USE OF THIS WEBSITE, WHETHER THE DAMAGES ARISE FROM USE OR MISUSE OF THIS WEBSITE, FROM INABILITY TO USE THIS WEBSITE, OR THE INTERRUPTION, SUSPENSION, MODIFICATION, ALTERATION, OR TERMINATION OF THIS WEBSITE. SUCH LIMITATION SHALL ALSO APPLY WITH RESPECT TO DAMAGES INCURRED BY REASON OF OTHER SERVICES OR PRODUCTS RECEIVED THROUGH ANY LINKS ON THIS WEBSITE, AS WELL AS BY REASON OF ANY INFORMATION OR ADVICE RECEIVED THROUGH OR ADVERTISED IN CONNECTION WITH THIS WEBSITE OR ANY LINKS ON THIS WEBSITE. THESE LIMITATIONS SHALL APPLY TO THE FULLEST EXTENT PERMITTED BY LAW. You agree to indemnify and hold the Alvarado Elementary School PTA, SFUSD, their officers, affiliates, successors, assigns, directors, agents, service providers, suppliers, volunteers, and employees, harmless from any claim or demand, including reasonable attorney fees and court costs, made by any third party due to or arising out of your use of the this website, your violation of the TOU, your breach of any of the representations and warranties herein, or your violation of any rights of another. The TOU constitute the entire agreement between you and the Alvarado Elementary School PTA and govern your use of this website, superceding any prior agreements between you and the Alvarado Elementary School PTA. The TOU and the relationship between you and the Alvarado Elementary School PTA shall be governed by the laws of the State of California. Please report any violations of the TOU by emailing webmaster@alvaradoschool.net. Our failure to act with respect to a breach by you or others does not waive our right to act with respect to subsequent or similar breaches. This website may provide links to third party websites, which may have different privacy practices. The Alvarado Elementary School PTA is not responsible for, nor has any control over, the privacy policies of those third party websites, and encourages all users to read the privacy policies of each and every website visited. We may collect personal information if you provide it in feedback or comments, post it to the website, or if you contact us directly. Please do not send any personal information through this website that you expect to keep private. We may maintain web logs that collect standard web log entries for each page served, including your IP address, page URL, and timestamp. Our web logs and other records may be stored indefinitely. Although we make good faith efforts to store the web logs and certain other records in a secure operating environment that is not available to the public, we cannot guarantee complete security. The Alvarado Elementary School PTA may disclose information about the users of this website if required to do so by law or in the good faith belief that such disclosure is reasonably necessary to respond to subpoenas, court orders, or other legal process. The Alvarado Elementary School PTA may also disclose information about the users of this website to law enforcement officers or others, in the good faith belief that such disclosure is reasonably necessary to: enforce our TOU; respond to claims that activity related to this website violates the rights of third-parties; or protect the rights, property, or personal safety of the Alvarado Elementary School community, the users of this website or the general public.